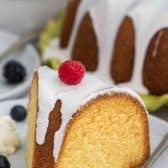 Vanilla Bundt Cake is a beautiful and elegant dessert, with a rich and buttery crumb and subtle vanilla flavor and topped with a sweet and easy vanilla glaze. 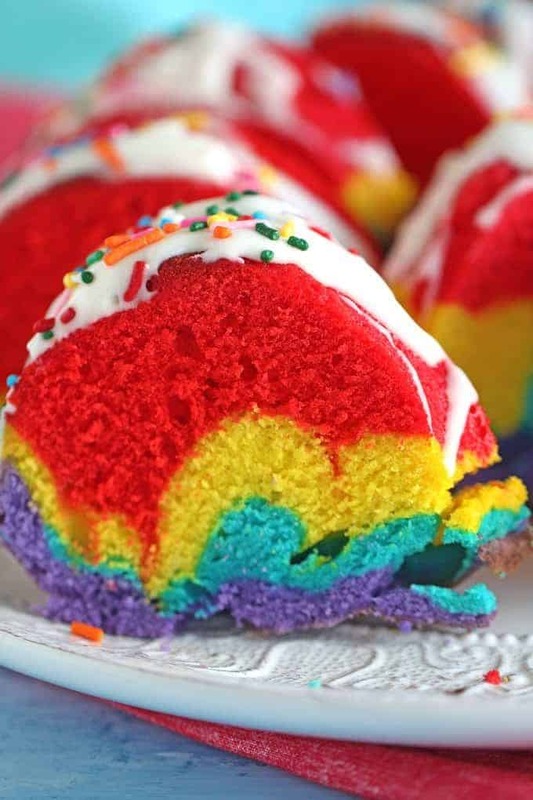 I love vanilla flavor, which stands out in my favorite Funfetti Cookies, so it’s no surprise that I’m a huge fan of Vanilla Bundt Cake recipes. It is such a beautiful and timeless dessert. 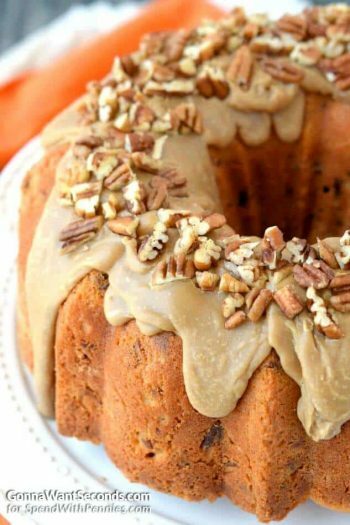 This is one of the easiest bundt cake recipes and you will be able to make the most amazing bundt cake whenever you please. The texture of this bundt cake is rich and buttery, tender and soft. The cake is finished with a sweet vanilla bundt cake glaze to dress it up. The vanilla bundt cake is best served with a side of whipped cream and berries. It pairs well with ice cream, or it can be sliced into cubes for dipping into melted chocolate or chocolate fondue. 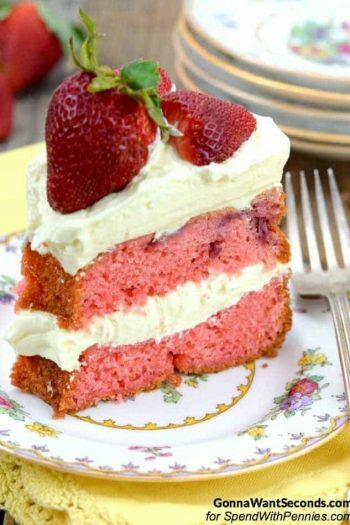 The cake would go perfectly with Vanilla Pudding Fruit Salad! Really, there is nothing bundt cakes don’t go with. 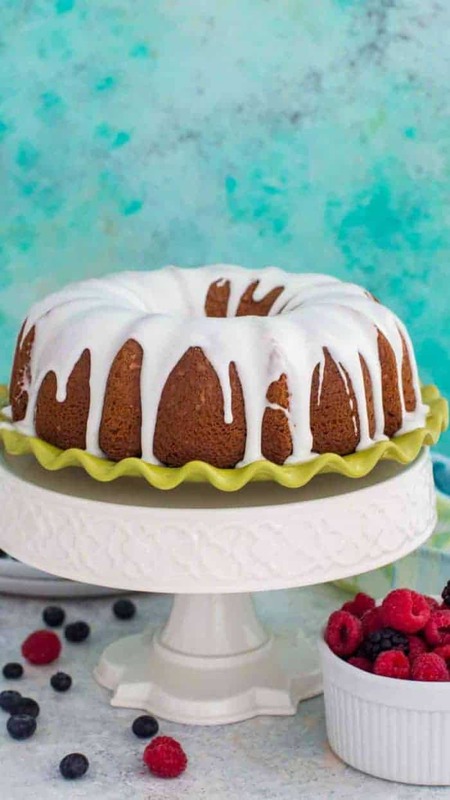 A beautiful bundt cake is such a classic dessert that can be served on any occasion. 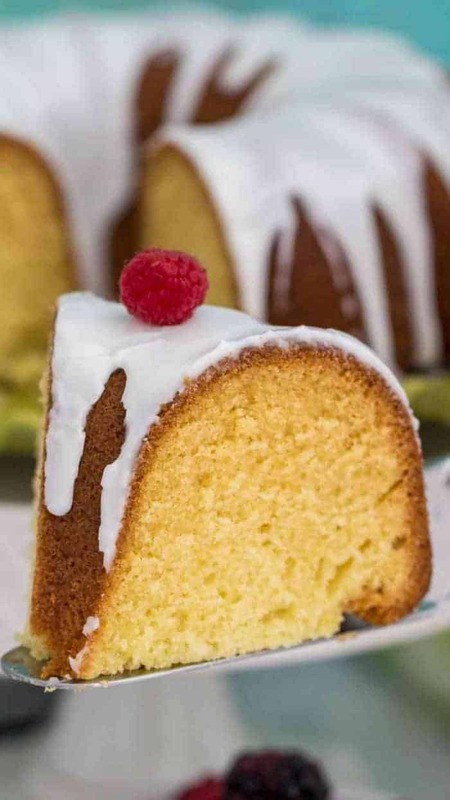 I highly recommend this easy bundt cake recipe! What is a bundt cake? A Bundt cake is a cake that is baked in a Bundt pan, also called a bundt tin, which gives it a distinctive ring shape. The shape is inspired by a traditional European cake known as Gugelhupf. The texture of this moist bundt cake recipe is more like a velvet pound cake rather than a light airy cake. Make sure the ingredients are at room temperature. Measure the ingredients carefully and precisely. Add eggs, one at a time, beating just until the yolk disappears. Always add the dry ingredients alternately with the liquid, beginning and ending with the dry ingredients. To prevent air bubbles, slowly spoon the batter into the prepared pan. Open the door of the oven only when ready to check for doneness. How do you keep a bundt cake from sticking to the pan? Make sure you use a non-stick pan. Silicone bundt pans are really great, the cake never sticks to them and makes removal a breeze. Grease the pan throughly with either butter or baking spray. Flour the pan slightly. Flip the pan and tap excess of flour. How long should you cool a bundt cake? After removing the bundt cake from the oven, place the pan on a wire rack and let it cool for 10-20 minutes. 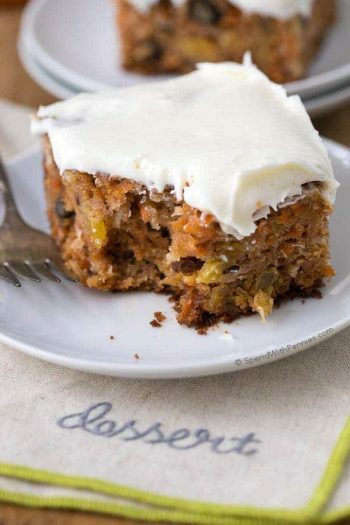 This allows the cake to become firm enough to remove from the pan without breaking it apart. It is important to check on the cake while it cools, you want to invert the pan and remove it as soon as its firm enough. If you leave the cake in the pan until fully cooled, the pan will cause the cake to be damp and stick to the pan. Once you try to remove it, the cake will break. 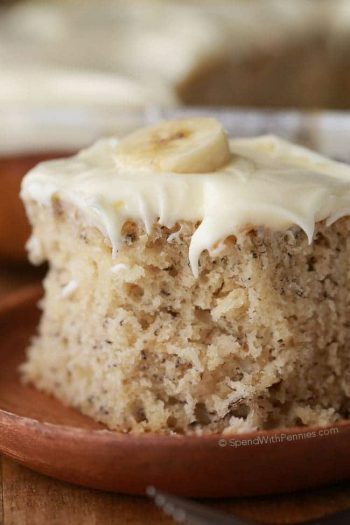 As soon as your cake is out of the oven place it on a cooling rack for 10-20 minutes. Check when the cake is firm enough and using a butter knife loosen the sides of the cake. Very gently shake the cake, move it side to side, up and down. 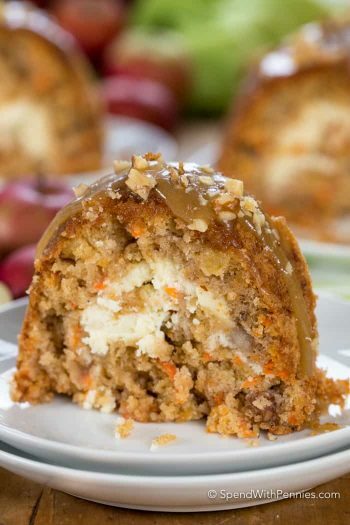 Place a cake pan or large plate on top of the bundt cake pan and invert the bundt cake onto it. 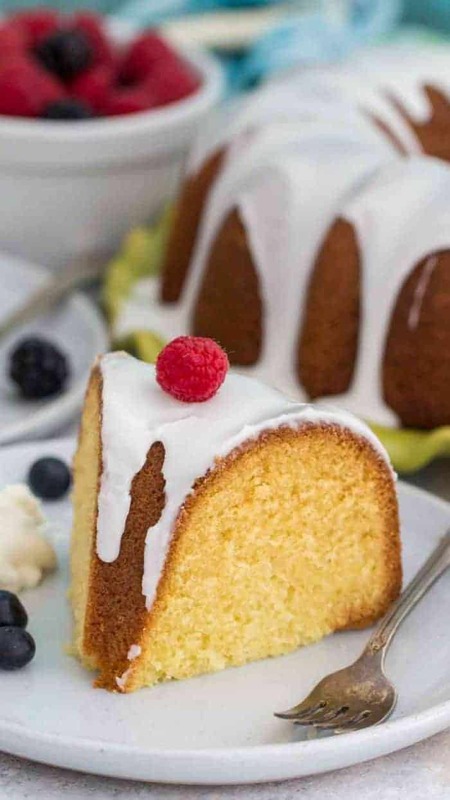 Vanilla Bundt Cake is best served at room temperature and can be left unrefrigerated for up to 48 hours. After that time, the cake needs to be refrigerated. To maintain its texture and avoid drying the cake, wrap the cake in plastic food wrap before refrigerating. Cake will keep in the refrigerator for up to 5 days. Cool the bundt cake completely and preferably do not glaze it. Fully and tightly wrap the cake in plastic food wrap. After that, wrap in aluminum foil or place in freezer bags. Freeze for up to 3 months. Defrost before serving. Vanilla Bundt Cake is a beautiful and elegant dessert, with a rich and buttery crumb and subtle vanilla flavor. Topped with a sweet and easy vanilla glaze. Grease a 10 - 12 cup Bundt cake pan, using non-stick baking spray or shortening. Flour the pan, and tap excess flour. Set aside. In a mixing bowl, beat butter and sugar at medium speed until light and fluffy. Scrape the sides and bottom of the bowl with a spatula. Add the baking powder, baking soda and salt. Add vanilla extract, almond extract and sour cream, mixing just until combined. With the mixer running on medium speed, add 2 eggs and beat just until combined. Add 1/3 cup of flour and beat just until combined. Repeat again: 2 more eggs, followed by 1/3 cup of flour and the remaining 2 more eggs, followed by 1/3 cup of flour. Gently beat in half of the milk. Followed by half of the remaining flour, then the remaining milk. Turn off the mixer and and stir in the remaining flour. Scrape the sides and bottom of the bowl with a spatula. Beat batter on medium-high speed for 20 to 30 seconds, until smooth. Scoop the batter into the prepared pan, smoothing the top with a spatula. Bake the cake for 50 to 60 minutes, until it's starting to brown and a toothpick inserted into the center comes out clean. If the cake appears to be browning too quickly, tent it with foil for the final 15 minutes of baking. Remove the cake from the oven, and place it onto a cooling rack. 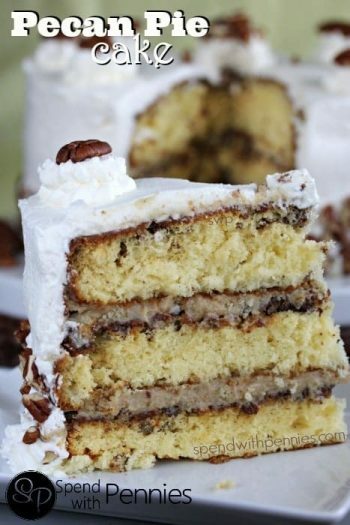 After 10-20 minutes, invert the cake onto a plate, and allow it to cool completely. Let the cake cool completely before glazing. Add all the Glaze ingredients to a medium bowl and stir to combine until smooth, with no lumps. 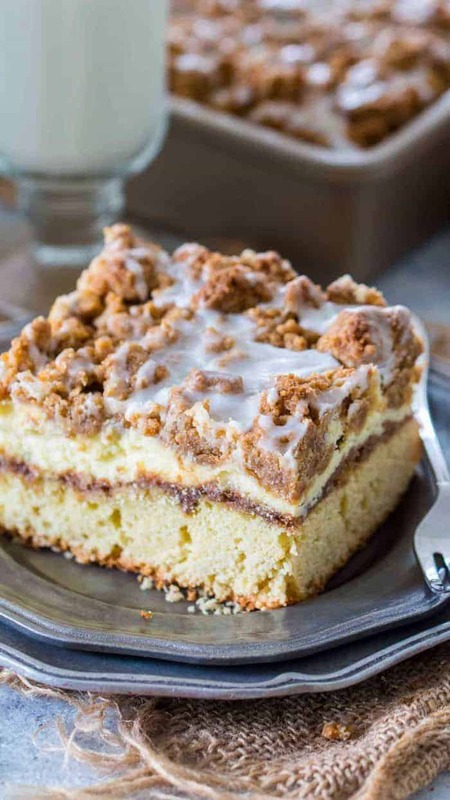 If the mixture is too thin, add more confectioners sugar, 1/4 cup at a time. If the mixture is too thick, add more milk, 1 tablespoon at a time. Spread the glaze over the cooled cake. Let it settle. Store leftover cake, well wrapped, at room temperature for 2-3 days. Freeze for longer storage. Catalina, this Vanilla Bundt Cake was amazing. I did omit the almond extract as I didn’t have any, but it’s clearly the best bundt recipe I’ve tried so far. I look forward to more of your recipes! So glad you loved it, enjoy!